and I have an extensive amount of meet direction experience, my wife quite a bit more than mine because she was instrumental in making the long-ago contests hosted by the Purdue Powerlifting team highly successful. 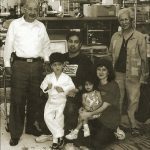 From local to regional to state and to one world championship contest we have been fortunate to have had the assistance of all of “the right people” necessary when they were needed. This year was no different and while serving as organizer, head judge, announcer, coach, and roustabout I literally marveled at the intensity, fortitude, focus, and commitment shown by every one of our contestants. Thus a return to this month’s topic. 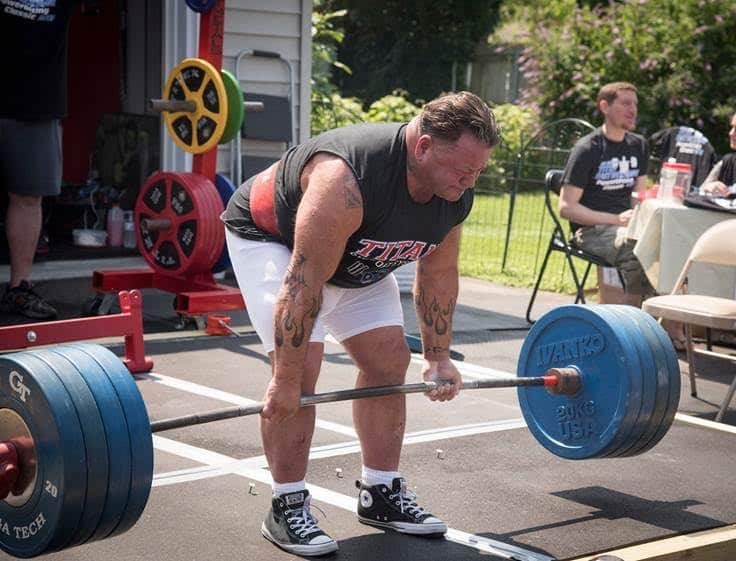 Our ANNUAL TITEX-EAST ROCKAWAY POWERLIFTING CLASSIC CONTESTS are complete and a fund raising success because we always have the superb strongman performance of the great Pat Povilaitis, “The Human Vise”. 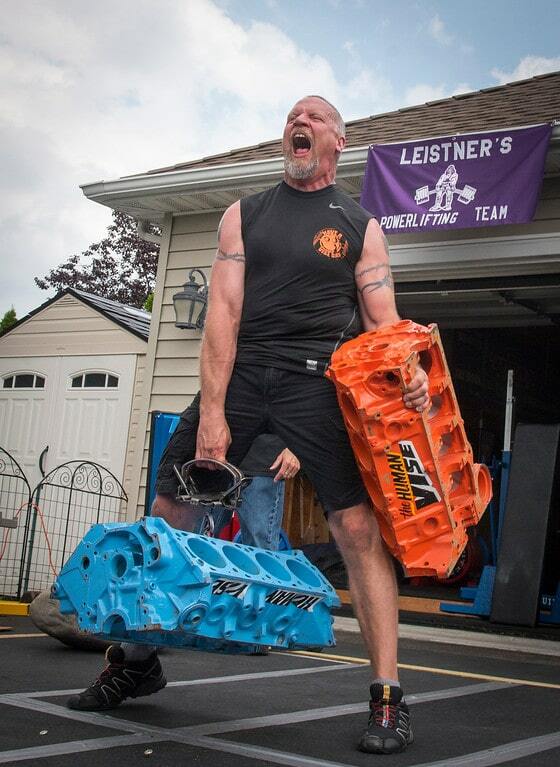 Who else has a mountain lion trap snap down on his hand and insists on lifting a 275 pound engine block while clamped and having his ligaments shredded? He is one of a kind and we are blessed to have him as part of our lifting family. It is the same in powerlifting and this is what our contest reinforced. One of our lifters, Will Martorana is going to be a high school senior. Two and a half years ago he was 110 pounds of withdrawn aspiring musician, and not particularly motivated to excel in any specific area of endeavor. 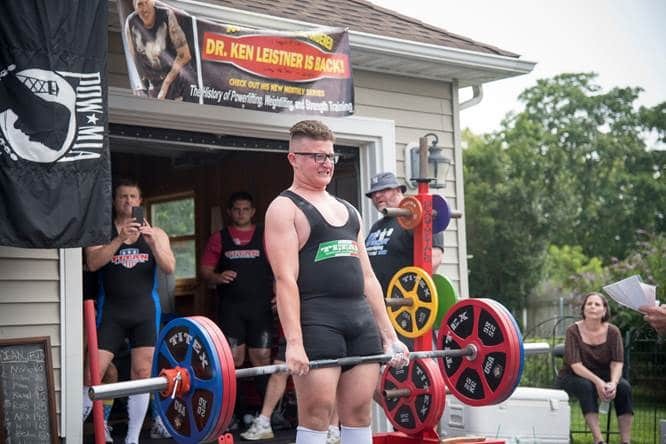 Of course much of his ennui was age related but his present commitment to maintaining his A average in academics, his stout 185 pound physique, his broad ranged confidence, and the concentration and effort he pulled together to complete his first ever 400+ (407) deadlift emphasized what “real powerlifting” is about. The difference in “powerlifting for real,” meaning in a contest, and doing the powerlifts, even doing them regularly in the gym, is that all of the small details count when it’s for real. Bill Starr’s classic book Defying Gravity presents every bit of information one needs to properly prepare for competition. A seemingly unimportant detail is attire and Bill wrote, “If you are typical, you train in sweats or shorts and a t-shirt, day after day, week after week. Should you never wear your actual lifting uniform until the day of the meet, it will feel strange. The straps on the lifting suit are bothersome. You suddenly feel drafts that weren’t there before. You feel quite naked.” One also feels “quite naked” having been given no more than one minute to begin an official attempt after hearing one’s name called and the bar as “loaded,” walking up to the bar with a cheering, screaming audience of primarily strangers staring at you, expecting you to make a successful attempt. Yikes, this is quite a bit different from the “usual” which no doubt includes as much psyche-up time as one wishes, the well-wishing claps on the back by a training partner or two, the familiar spot on the wall to stare at as it is in every squat workout, and no more than the judgement of oneself relative to judging the lift as good, bad, legal, satisfying, or disappointing. Our judges, as they were with our Iron Island Gym contests and Kathy’s contests in Indiana, have international card holding level judges in the chairs, our loaders/spotters, annually led by Tom O’Riordan, have experience at national and world level meets and for numerous organizations. Our crew was frequently requested to man the platform in different parts of the country because of their abilities. The TITEX BARBELLS AND PLATES and ER RACKS in both the warm-up area inside the garage and on the platform in the driveway of course are the best, official anywhere and everywhere, exacting, and safe. We introduce our lifters as they would be introduced at an international contest, their hard work and willingness to perform publicly has earned them that honor, even if it is before but 150 spectators. The lifters experience and enjoy a “real contest” and in turn have to show up and compete “for real.” Powerlifting is not a gym activity, it is a sport. Everyone should squat, deadlift, and bench press as productive exercise and as a means to become bigger and stronger but to state it as clearly as possible, “No” this does not make one a powerlifter, walking onto the platform in front of the judges gives one that important distinction. HISTORY OF POWERLIFTING, WEIGHTLIFTING, AND STRENGTH TRAINING NUMBER 103: POWERLIFTING AS A MEANS OR AS A SPORT? Part Two My training or how I prepared for the competition.